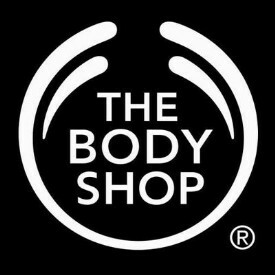 The Body Shop's story started in Brighton, England in 1976. It began with founder, Anita Roddick, and her belief in something revolutionary: that business could be a force for good. Following her vision, The Body Shop has been rule breaking, never faking and change making for over 40 years. We've entered a new era of corporate activism. From US retailer Patagonia suing President Trump over proposed changes to Utah's national monuments, to the Salesforce chief executive who threatened to withdraw investment from the state of Indiana if an anti-LGBT law was not withdrawn, businesses are getting better at balancing commercial goals with social responsibility. Corporate activism can be a powerful force for good – this idea is what The Body Shop was founded on over 40 years ago. Businesses can lend their weight through financial support, political pressure or consumer influence to further causes that may otherwise gain little attention. But for corporate activism to thrive it should be woven into the DNA of an organisation, and employees should be empowered and encouraged to champion it. According to research by Deloitte, almost nine in ten (87%) millennials believe that “the success of a business should be measured in terms of more than just its financial performance.” So, activism matters to people, and it’s something they’re looking for in a workplace. What’s more, we know that, when properly engaged, employees can themselves be champions of change. Demonstrating commitment and feeding back the results of corporate activism or social responsibility programmes is an important part of securing employee buy-in. For example, Natura &Co, our corporate group, report on the business’ ‘triple bottom line’. Triple bottom line reporting gives people and the planet the same level of importance as profit in our company reporting. It subjects our impact on society and the environment to the same level of robust measurement as our financials. In this way, we hold ourselves to account and demonstrate that running our business in a responsible way is as important as our bottom line. Inspiration can come in all shapes and sizes: from a campaign or cause-related posters around the office, to workshops focusing on social or environmental issues. Technology also opens up a host of other possibilities. Our ‘The Body Shop Talks’ video series is streamed globally on our intranet once a month. The videos feature a broad range of discussions on topics close to our activist agenda, and we invite expert third parties to join the panels. For example, last Earth Day we invited Louis Masai, a British artist who has focused a number of projects on endangered species, to talk about how we can live in a more sustainable and less harmful way. These sessions stimulate conversation and allow employees to ask questions or suggest initiatives of their own in real time. They are so popular that, when a topic is of particular importance, we set up a Facebook Livestream so that our customers can watch and join in too. It isn’t enough to ask employees to make a change without giving them the right support. To guide employees to make positive changes, businesses can generate a better result by providing them with the tools they need – think recycling bins or cycle to work schemes. We recently gifted a re-usable water bottle and coffee cup to each of our UK colleagues. This small step will help us save roughly 6,000 take away cups and lids a month. Facilitating action could also include encouraging employees to actively take part in a chosen cause or campaign – from volunteering time, to spreading the word across their social channels – create ways for people to get involved and become champions of change. For example, at The Body Shop, every employee is given three volunteering days a year to support a cause of their choice. By engaging and involving employees around activism and social responsibility, businesses can create an authentic culture of responsibility and shared purpose that will be motivating, engender loyalty and have a greater chance of making an impact.